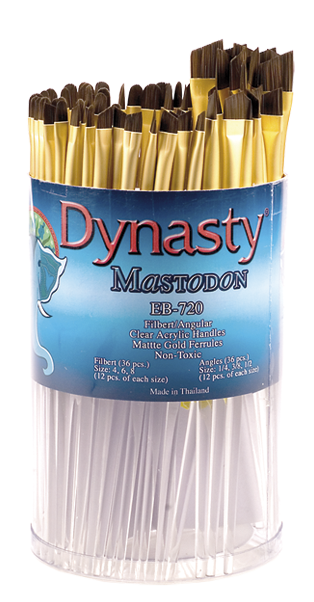 Mastodon is “elephant-strong”. 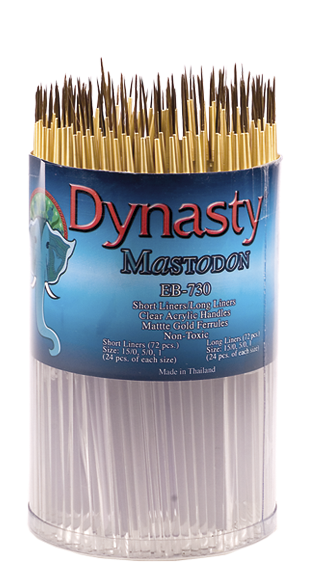 Made of superior blended synthetic for long-lasting endurance, the Mastodon line was created for heavier paints and rougher surfaces. Additionally formulated to contain anti-bacterial properties, the line’s unofficial motto is “spread paint, not germs”. 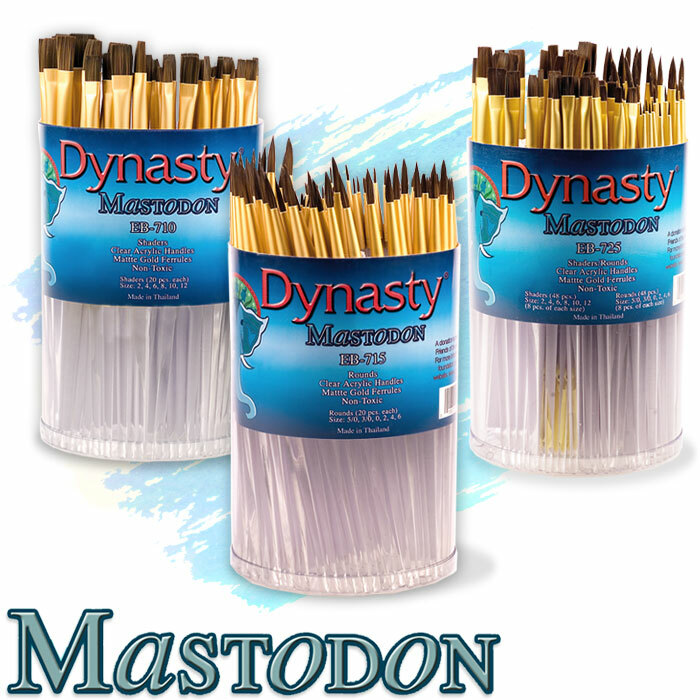 The Mastodon brush program stands out as the giant amongst the brushes of today. 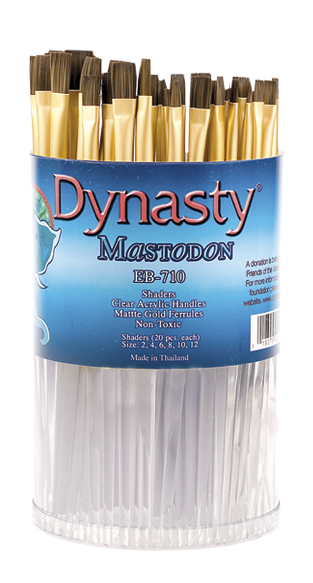 With its seamless matte gold ferrules and crystal clear acrylic handles, it is built to last. 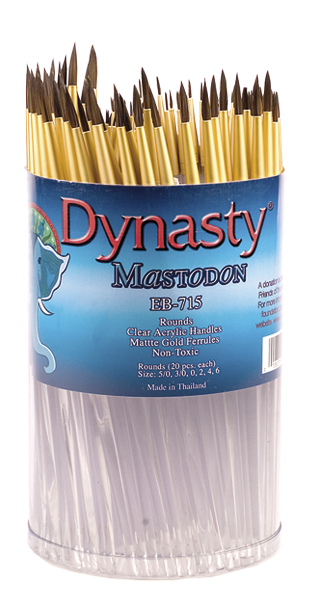 Made with a strong, resilient synthetic, the Mastodon collection works wonderfully on ceramic, wood, and every other rough or textured surface. 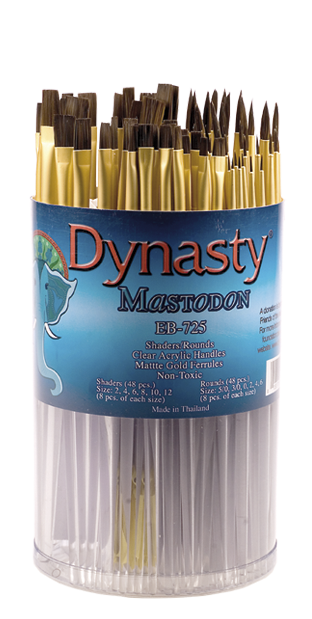 Mastodon is tough enough to move heavy bodied acrylics yet flexible enough to work on watercolor paper. Recommended by elephants everywhere!